The harsh, dry climate has forced the people of the Altai Mountains to be tough and hardy. The wild animals are no different. The speed and power of the golden eagle or the swift terror of the grey wolf seem to easily be spirits of long dead nomadic warriors of the steppe. These animals face equally tough animals like the elusive snow leopard, the Argali sheep with its massive curved rams, ibex, lynxes, marla (a large red deer), elk, brown bears, falcons, Corsac foxes, and the colossal Cinereous Vulture. Many smaller animals have managed to survive in this environment including the snowcock, ringed-neck pheasant, beavers, and marmots. Also, many migratory birds from all over Asia spend their summers on the many lakes, especially Achit Nuur. Though bears and marmots hibernate in winter, other large mammals are easier to find when they move to lower elevations to find food, and can be tracked in the fresh snow. The grey wolf and the nomadic herders have always had a love-hate relationship. While ancient religions and modern-day shamanism worship the power and cunningness of the wolf, there is a constant battle to protect herds from these predators. An adult wolf can weigh 45 kg (99 lbs) and is usually only rivaled by humans at the top of the food chain in its habitat. 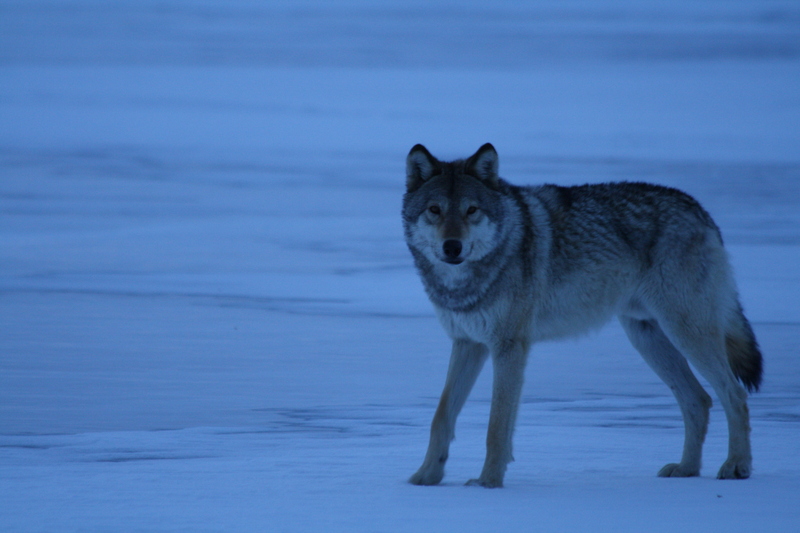 They usually travel in packs of 5 to 10 wolfs and can cover large areas due to excellent endurance and speed. The collapse of both communism and the organized programs that controlled the grey wolf population led to a surge in their numbers. More recently, hunting and the fur trade has brought their numbers back down. A wolf pelt may sell for over $150 while bones and other parts are highly prized in traditional Chinese medicine. The golden eagle is wide spread in the Altai Mountains and is considered sacred. Local Kazakhs use eagles for hunting the prized Corsac fox. There are around 250 captive eagles used for hunting in Bayan-Olgii. However, this practice does not have a negative impact on the population, because the birds are released back into the wild after a few years. Unlike the hawks and saker falcons, eagles are not used by any other falconers, thus there is no pressure on exporting captive eagles. The golden eagle is larger than the bald eagle and is the fastest animal in the world. It can reach 190 mph (300 kph) when diving for an attack. 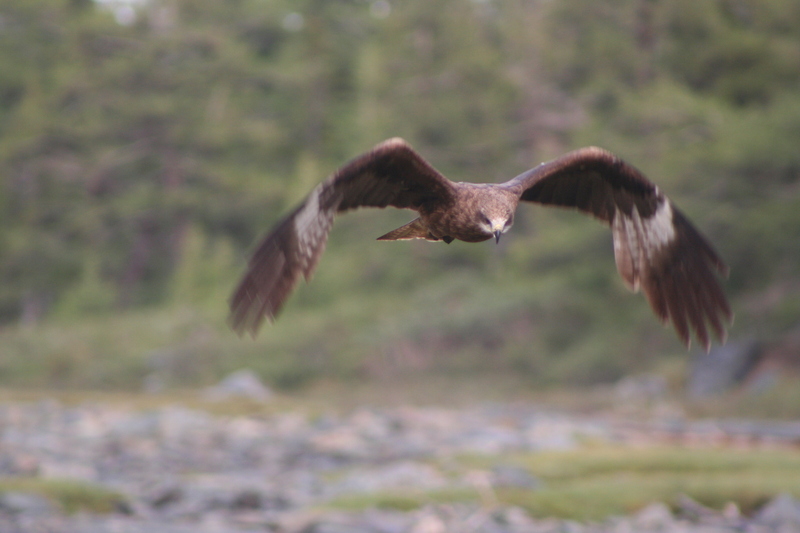 A female golden eagle can weigh up to 7 kg (15 lbs) and have a wing span of 2.2 M (8 ft). The powerful, razor-sharp talons of the eagle with 320 kg (700 lbs) of pressure can quickly kill its prey. It should be noted that the raptors in Olgii City are Black Kite, a species of hawks, and much smaller than the eagles and saker falcons found outside the city. 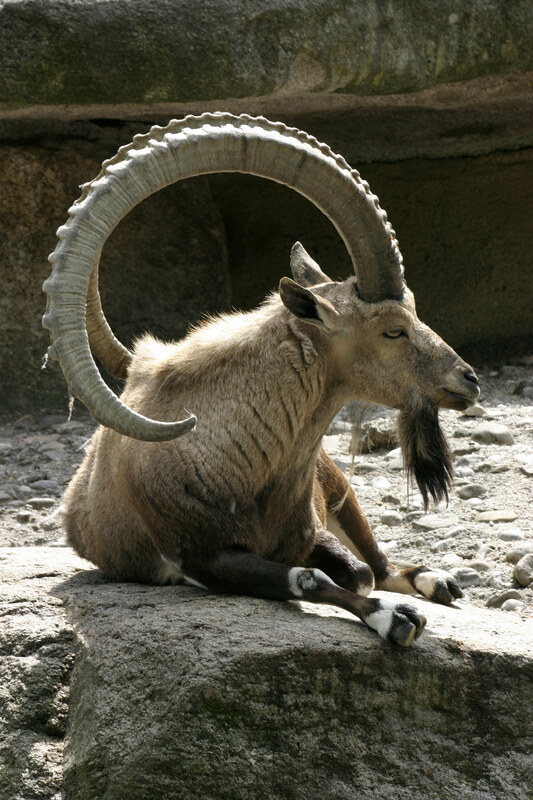 The male Argali sheep or ram has circular horns that can weigh up to 35 kg (75 lbs) and 190 cm (6 ft 2 in) long. These massive wild sheep are the largest in the world with the Altai subspecies of the Altai Mountains being the largest of 3 subspecies. A male Argali can weigh up to 182 kg (400 lbs) with the largest recorded being 216 kg (480 lbs). The Altai subspecies live in high to mid elevations spread across the Altai region up to the highest elevations in Bayan-Olgii. All subspecies of Argalis are considered to be endangered across their range from Tibet to Siberia with their horns being highly prized trophies. The Altai Argali population has rebounded some with the opening of Sillkemiin Nuruu and Kohkh Serkhiin Nuruu National Parks. Large herds of up to 300 can be found on mountain slopes of these parks. The best place to find them is in the Kohkh Serkhiin Nuruu Strictly Protected Area. Mongolia does sell a limited number of hunting licenses for Altai Argali each year for over $30,000 each to finance wildlife conservation. The main prey of the elusive and rare snow leopard in Mongolia is the Argali sheep and the Siberian Ibex, despite being only a forth of the former’s size. Though, they will also eat marmots, deer, birds, or domestic animals. The snow leopard weighs from 27 to 55 kg (60 to 120 lbs), and has a tail almost as long as its body. It has the thickest fur of any cat species to help it cope with its habitat across the high mountainous regions of Central Asia, from the Himalayas and Hindu Kush to the Siberian Altai. They like to hunt in uneven terrain by chasing down animals from higher elevations. They are especially difficult to find, and are rarely spotted in the wild. There are an estimated 4,000 to 6,000 in the wild, with 500 to 1,000 in western Mongolia. A medium sized cat species that is closely related to the American Bobcat, though bigger. The Eurasian lynx weighs 18 to 30 kg (40 to 65 lbs), and has distinctive pointed black hair on its ears, a short tail, and black spots. Their range stretches from Scandinavia to the Bering Strait and as far south as Tibet. They compete with wolves and snow leopards for large prey. Like the wolf, they prefer large mammals like roe deer, wild boar, and moose, as well as small animals like marmots, hares, and squirrels. They are nocturnal and very quiet hunters. Their tracks are usually spotted years before a live one is seen when they enter a new area. The Altai Mountains are just north of the Siberian forests, which have the largest concentrations of lynx. Siberian Ibex has distinctive large curved horns arching above its head that can be as long as 130 cm (4 ft 3 in) on a male ibex. Both sexes have horns and a beard, though males are larger. A male ibex can weigh between 35 to 130 kg (77 to 190 lbs). They generally live in high alpine regions above the tree line in deserts, steppe, and rocky valleys. Adults can be preyed on by wolfs, snow leopards, and bears, while young ibexes can fall prey to foxes and eagles. 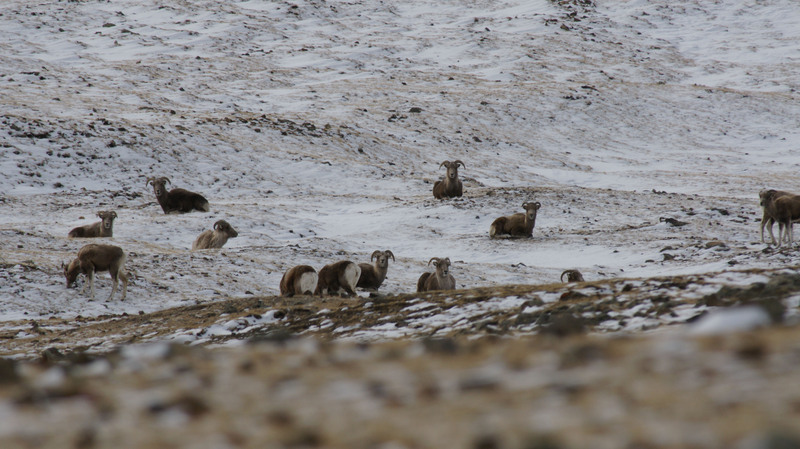 They are widespread in Bayan-Olgii with ibex regularly seen only a few miles outside of Olgii. The Eurasian brown bear is common throughout Siberia and can be found in the forested areas of Bayan-Olgii. These nocturnal omnivorous animals weigh 265 to 355 kg (580 to 780 lbs), with wide variations between seasons due to its habit of hibernating in winter. Despite their popular reputation as killers, bears’ diet is primarily vegetables with fish, insects, and small animals making up most of the remained. Most attacks on humans only happen when they feel their cubs are threatened, though there is no record of any attack happening in Bayan-Olgii. The best area to see bears in Tavan Bogd National Park. There is even an area in the park called Bear Valley, Baavgai salaa. 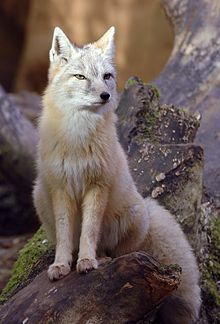 This small fox is common throughout Mongolia and Central Asia. Adults weigh 1.6 to 3.2 kg (3.5 to 7 lbs) and have thick yellow or grey fur. Their fur becomes much thicker and smoother during winter with the legs becoming darker. It has a diet of insects and rodents. It is nocturnal and has no set territory. Eagle hunters prize the thick winter fur of the Corsac fox and the sport of catching this naturally skittish animal. Due to its strong sense of smell and eyesight, it can easily spot predators before they get close enough to be a threat. Though when spotted, they are slow runners. For this reason, eagles are the preferred way to catch them since their range of attack of over a mile (1.6 km) is too far for a rifle. This is the largest bird of prey species in the world with a wing span of 2.5 to 3.1 m (8.2 to 10 ft) and a weight of 7 to 14 kg (15 to 31 lbs). Standing fully erect, it can be as tall as a man. These massive birds eat the carcasses of large and medium mammals including sheep, goats, horses, yaks, elk, and cattle. There have been reports of two Cinereous vultures eating an entire horse. They have powerful beaks that allow them to tear open flesh and break bones to get past rib cages. Though their range stretches from Korea to Spain, vultures in Mongolia and China are significantly larger by 10% on average. The birds are solid black and fly silently at very high altitudes. They can hunt in pairs or small groups though rarely kill small live prey. There are an estimated 4500 to 5000 Cinereous Vultures worldwide. There are 5 species of fish that live in the Hovd River watershed (covering all of Bayan-Olgii) that drains into the saltwater Lake Uvs. The Uvs drainage basin is enclosed and contains many unique fish species that are highly prized by anglers around the world. Fish found in Bayan-Olgii including the Taimen, Lenok Trout, Osman, Arctic Grayling, and Pike. The Taimen is the largest fish in the region with an average size of 70 to 140 cm and usually weighing 15 to 30 kg (33 to 66 lbs), though some have been found weighing over 50 kg. It is the largest salmon species in the world and known to eat insects, rodents, and birds. Taimen usually live in fast-flowing water and are popular with fly fishers. Taimen are revered by Mongolians as the “River Wolf” for its large size as furiousness. Lenok Trout are smaller, measuring up to 50 cm and weighing up to 15 kg (33 lbs) and prefer cold running rivers. They are rarely caught during late summer when they migrate to deeper lakes. Osman is a species of carp that can grow up to a meter and weigh 10 kg (22 lbs) and is only found in Russia and Mongolia in the Uvs Lake drainage basin. The Arctic Grayling is a species of salmon usually found in cold arctic rivers and lakes. It usually weighs around 3 to 4 kg and is 30 to 40 cm long. The Hovd River Basin and the lakes offer great fly fishing, though nothing compares to the quantity of fish that can be caught in winter when all the fish are trapped under thick ice. There are many great places to see wildlife in Bayan-Olgii, especially in several national parks that protect rare and endangered animals. Siberia Ibex, golden eagles, and argali sheep are common enough that guides will be able to guarantee sightings. 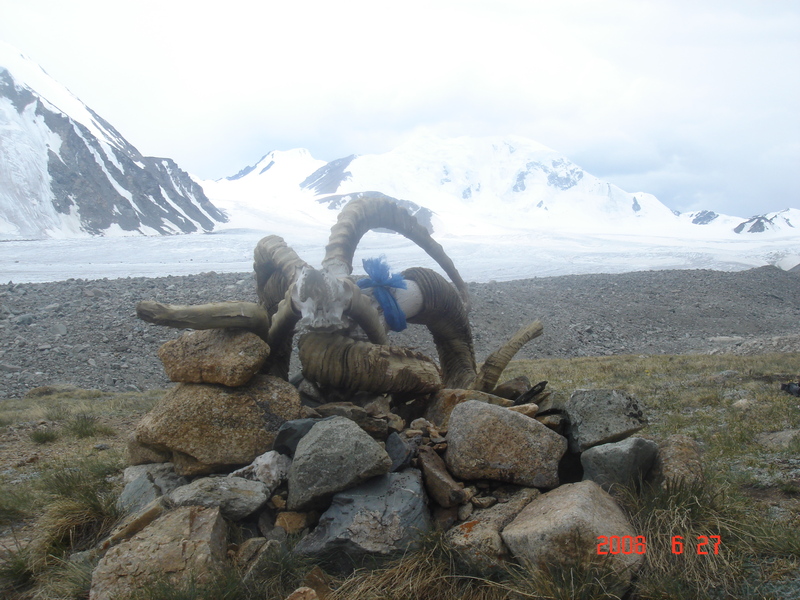 In Kohkh Serkhiin Nuruu National Park, Argali sheep can be seen on your first day inside the park. The Siberian Ibex is often seen only a few miles outside of Olgii. Grey wolves, brown bears, and Corsac foxes will take more effort to find. Sometimes it can take several days to spot in the case of the reclusive fox, but it can usually be found. 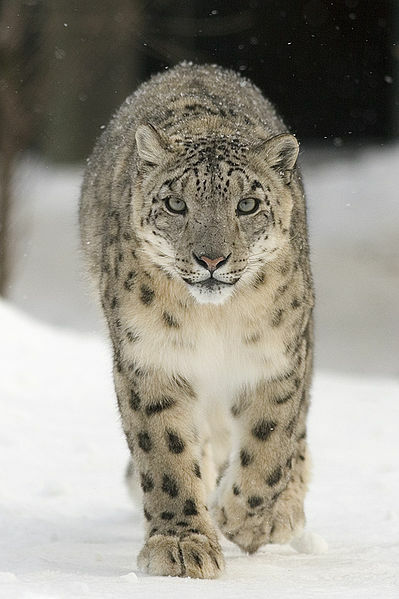 Snow leopards on the other hand are extremely rare, and even tracks can be difficult to find outside of winter. That being said, they usually live close to preferred food sources like the Argali sheep, ibex, marmots, and hares. Bayan-Olgii has many migratory birds that pass through during the late spring and autumn, as well as perennial birds like the eagles, falcons, vultures, hawks, snowcocks, and eagle owl. Many of the species of animals cannot be found as easily anywhere else on Earth. Experienced tour guides offer unparalleled chance to see these awe-inspiring animals that most people will only see in a zoo or nature documentaries. You may even run cross a film crew from National Geographic or the BBC following eagle hunters or trying to find a snow leopard. So turn off the TV, and see it in person.